This chapter discusses how a library can revise its existing emergency, disaster, and Continuity of Operations plans, through the utilization of new technologies and an ongoing review cycle. While reviews of existing emergency plans typically happen in response to actual emergencies, this chapter encourages flipping that scenario by conducting ongoing reviews with a small, dedicated committee. The chapter identifies important steps to follow in revising emergency plans and discusses incorporating e-book and short form formats to enhance training and documentation. 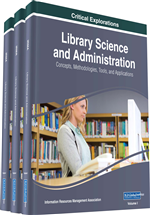 Like any institution, academic libraries are vulnerable to natural and man-made disasters. The devastation that can occur when libraries fall victim to natural disasters, such as floods and fires, or willful acts of violence and terrorism, has been demonstrated throughout history. While such disasters are often unpredicted and instantaneous, libraries may be able to lessen the destructive consequences of any disaster or emergency through the implementation of an emergency management plan. Such a plan is “a unique, detailed guide for times of great stress and crisis,” and it serves to “provide the basis for systematic responses to emergencies that threaten an organization and the records and information necessary for continuing operations” (Jones & Keyes, 2008, p. 52). The main components of an emergency management plan include: a policy statement, assignment of responsibilities and authority, task organization, information distribution procedures, preparedness/response/recovery checklists, training programs and testing procedures, and a communications directory (Jones & Keyes, 2008, p. 53).